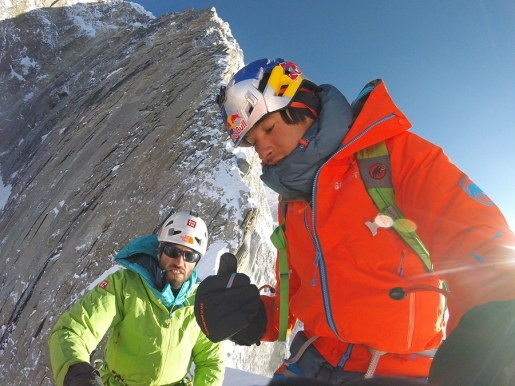 In January 2019 Francesco Fazzi and Matteo Pilon made the first ascent of La Piccola Sgualdrina (130m M8 WI5 III), a new mixed route up in Val Pramper, Dolomites, immediately next to the famous icefall Gran Dama. Fazzi, a mountain guide from Val di Zoldo, reports. Swiss alpinists Dani Arnold and Martin Echser have made the first ascent of the 9-pitch mixed climb Uristier Schöllenen (WI6+/M8) in the Schöllenen Gorge, Switzerland. From 2 - 3 April 2019 Brette Harrington, Luka Lindič and Ines Papert made the first ascent of The Sound of Silence (1100m, M8 WI5) up Mount Fay in the Alberta Rockies, Canada. This is the first route to climb the entire East Face. Ezio Marlier introduces the modern mixed climb Miss No which he first ascended with Elisabetta Ceaglio up the NE Face of La Vierge du Flambeau (3244m), Mont Blanc massif in April 2017. 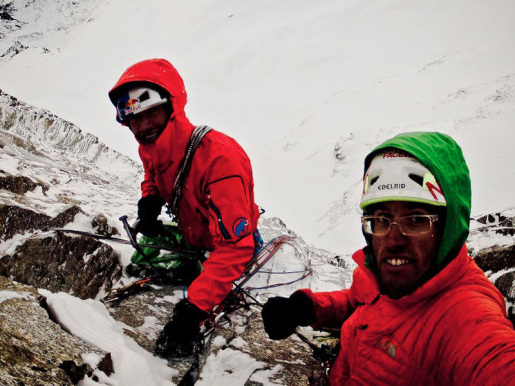 On Aiguille de l'Amône (3586m), Swiss mountaineers Simon Chatelan and Silvan Schüpbach have made the first ascent of L'accidentelle et l'accidenté, described as being a 'challenging mixed climb’ up the mountain’s relatively unknown East Face. American alpinist Jim Reynolds has made an extremely fast solitary ascent of Fitz Roy, climbing up and down climbing the long Afanassieff route. 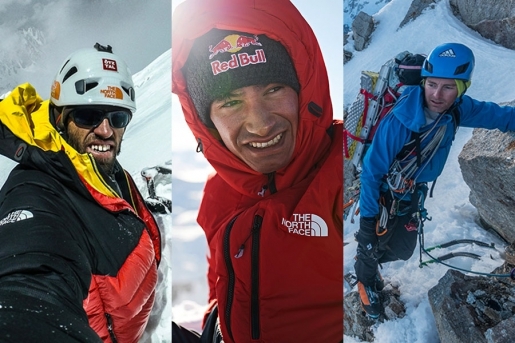 On 20/02/2019 Thomas Bubendorfer and Max Sparber made the first ascent of Die Abenteuer des Augie March up the 500m high north face of Hoher Kasten (3189m) in the Großglockner group in Austria. On the east face of Coulm d'Mez in Switzerland Marco Majori and Davide Terraneo have climbed Cheeky Monkeys, a possible new icefall in the Bernina group. 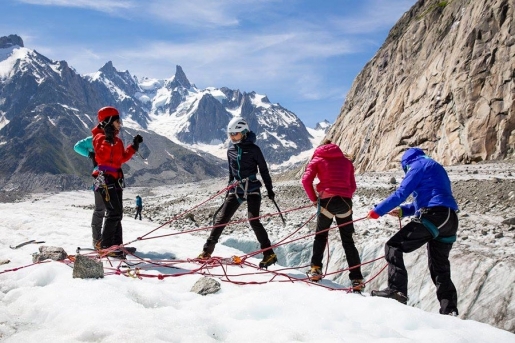 Registration starts online today at 15:00 for the Arcteryx Alpine Academy 2019, scheduled to take place from 4 to 7 July 2019 Chamonix, France. This unique event offers climbers of all abilities to learn more about climbing and alpinism directly on Mont Blanc. From 17- 19 February 2019 young French alpinists Xavier Cailhol and Symon Welfringer made a winter ascent of Divine Providence up Grand Pilier d’Angle, one of the most famous routes in the Mont Blanc massif. Canadian alpinist Will Gadd travels to Greenland with glaciologist Jason Gulley to better understand the movement of meltwater underneath the icecap.